Most of the infant car seats tested by Consumer Reports "failed disastrously" in crashes at speeds as low as 35 mph, the magazine reported Thursday. The seats came off their bases or twisted in place, the report said. In one case, a test dummy was hurled 30 feet. To be sold in the United States, an infant seat must perform adequately in a 30 mph frontal crash, and Consumer Reports found that all but the Discovery did so. But it noted that NHTSA crash tests most cars at higher speeds — 35 mph for frontal crashes and 38 mph for side crashes — so the magazine tested the seats at those speeds. I don't find this acceptable at all. Yes, I understand that they were tested at higher speeds than required for them to test, but do we really want kids to be even unsafer in their car seats as soon as speeds reach 35mph? Just how often do people drive that speed anyway....even when it's the speed limit? It reminds me of a conversation I had with my mom recently. Ever notice how the recall flyers are usually posted in the back of the store or on the walls in the customer service area? How often do you visit 'those' areas? To make matters worse, the recalls listed are almost 'always' on children's products. I'm sorry, but is it just me who is a little disturbed by the fact that the companies who specialize in making toys for kids....are the ones who are screwing up the most by allowing products on the market before they've really been tested out that well? Seriously, I understand that sometimes things go wrong, and I'm glad they recall those things....but I'm more referring to items like the play set I recently saw that had a recall because it was discovered kids could fit their arms in a tube on it, and they were getting dislocated shoulders and such as they tried to pull their arms back out. Kids have arms....kids get curious....kids explore....kids are *playing* with these toys. Make them safe. Or how about all the ones that get recalled because they realize there are tiny parts that can come off? Kids put things in their mouths....kids get choked....why insist on putting itty bitty parts on things that are being marketed for the same kids who are going to shove them in their mouths? Do they really not consider these things before selling toys....or do they just not care about anything except the money (because obviously only a small portion of buyers are even going to realize that the products have been recalled)? 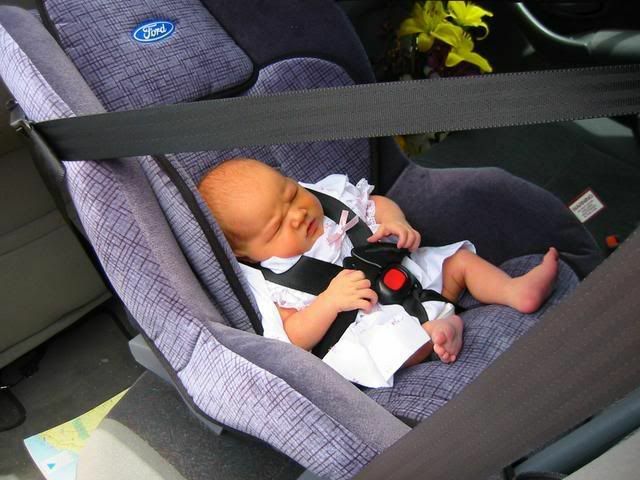 "It's unconscionable that infant seats, which are designed to protect the most vulnerable children, aren't routinely tested the same as new cars," said Consumer Reports' Don Mays, a product safety director. About the recall notices being placed at the back of the store, (i believe at my workplace, there are normaly 2 posted. One where the item normaly is, and at the front of the shop, in the customer service area.) Whenever you see this occuring, perhaps make a formal complaint to the manager of the shop as it takes little effort for the staff to print out two copies. I agree with you. I don't understand why car seats have to pass at 35mph and not much higher. As you said, rarely does a person drive 35mph. Therefore, higher specifications should be made on car seats. Don't trust the Consumer Reports tests on car seats. They don't publish details of how their tests are conducted, and their results are often not replicable. In fact, they'll often have the same seat pass with flying colors one year and fail miserably another. Did they change the tests? Did whoever installed the seat mess up one year? We don't know, because CR won't say. That was written by a CPS (Child Passenger Safety) technician. Worth reading for anyone who has heard the CR report and is concerned about their child's safety in their car seat. Jessi, my apologies if I seemed to accuse you of something you didn't say, or if I came across as overly didactic. As for why the limit is set at 35, the explanation I've heard from CPS techs is that if you raise that standard much, seats become so large that they don't fit properly in most cars, leading to improper installation, which means net lower safety. Also, although we rarely drive at 35mph on a highway, in city driving (where I believe the accident rate is higher, for the same reasons your gas mileage is lower there) the speed limits are likely to be much closer than that. In addition, most accidents do involve use of the brakes. My issue with CR on this subject is not with whether their testing changes from year to year, but with the fact that they don't disclose how they test, or often the way in which a particular seat failed — information which would greatly help those car seat manufacturers who would like to remedy any problems CR is finding. Don't apologize...it's good to see someone paying attention and willing to speak up. And although I understand that many accidents happen in town...and many involve the use of brakes...and that yeah, if you increase the standards, they're going to be harder to meet.....I'm also still disturbed that there's not something else they're trying. Bigger isn't always better....so even though logically, making seats bigger would make them harder to use safely, and in turn, would lower their safety measures....I'm still confused why there isn't something 'else' they're testing to make child seats even safer. We make cars safer, and they don't necessarily have to be 'larger' to accomplish it, so why can't we make the seats inside better, too? Now I will give them credit...they 'have' been improving obviously. If you look at a car seat from 30 years ago, it's not necessarily anything like what you can pick up in a store now. It's just with the current subject of recall notices and how so much of this is happening with 'child' products, it's still disturbing. Companies like that specialize in products for children, so whether it be a toy with small parts of a seat that we're strapping them into, it seems they could be doing more testing and improving. As for CR, I know they're not always reliable...but they 'do' raise good questions. Keeping and distributing records to the companies so they could improve would be excellent, of course. Just getting the word out there, though, that certain products may not be what they seem, is doing a little bit anyway. And considering one of the seats they tested failed miserably (by standards other than just their own, too)....and they 'did' contact the company about it...they're taking a bit of action. Nobody is perfect...even when it comes to companies who specialize in this or that....there are going to be mistakes and there are going to be products that aren't "perfect"....reminding people of this, if nothing else, at least keeps people aware that they can't trust anything....whether it's the company itself or even the reviewers like CR. I found country mouse's comments interesting as well. Yes, I noticed that consumer reports don't often tell how they test things, they just give their supposed results. As for the reason that was mentioned as to why the limit is 35mph, I think that more inventing should be done so as to make the seats safer at higher speeds while not diminishing them being large and installed incorrectly. Where I live the minimum people drive is usually around 45, regardless of the speed limit. In response to Jessi and recall notices: I too have noticed many stores that don't have recall notices very visible. Most often they are in the customer service part of the store. There are some I have been too however that do post them where the product would be located, which I think makes a lot of sense. I think stores should be more consistent as to where they are placed. They definitely need to be visible, that's for sure.